"The Memory Weaver" by Jane Kirkpatrick is based on true events. Eliza Spalding Warren was taken hostage in 1847 during an Indian attack on her mission school. This book follows her as an adult as she struggles to make sense of what she remembers happening and how that affects her life now. This book was not what I expected. I thought it might have shown more of their interactions with the Indians and not just all as infrequent flashbacks. The book is told in the first person perspective of Eliza the daughter mainly, with "diary entries" from Eliza the mother scattered throughout. With it being based on actual people, the author had only little leeway in the story. I found it to be rather depressing at times with the many trials and difficulties Eliza went through as a child, with her father, and in her marriage. Eliza and her father do have significant character growth by the end of the book. Jane Kirkpatrick did a lot of research and it is an interesting look into what we now call PTSD. I received a free copy of this book from the publisher in order for me to review it. A positive review was not required and all thoughts and opinions are my own. Sophie Menzies is desperate for good news after the Revolutionary War is finally over. 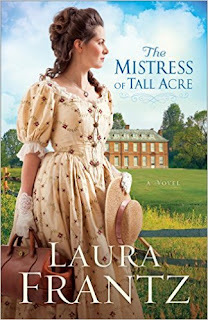 When her neighbor, General Seamus Ogilvy returns, she hopes that he might have the news she needs. 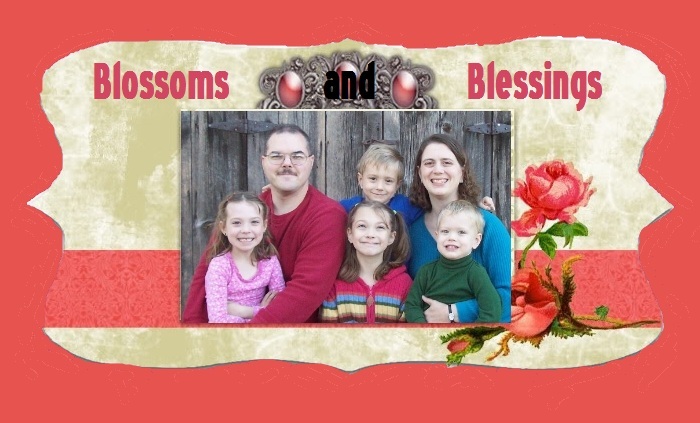 He is now a widower with a young daughter. To solve both of their problems, Seamus proposes they marry and she accepts. Can they move past the safe, sensible arrangement they have to find a love to carry them through the hardships they face? "The Mistress of Tall Acre" by Laura Frantz is set after the conclusion of the Revolutionary War. I have not read many books set in that time period and found it to be interesting. I had a hard time putting it down and wanted to read faster so that I could know what was going to happen. Sophie and Seamus were realistic and fleshed out. I felt their frustrations and disappointments. There were twists and turns in the story plot that I did not anticipate and it kept me guessing. The book was well written and easy to read. There were the occasional historical term that I didn't recognize, but it didn't take away from the story as you could figure out the meaning from context or look it up if you wanted. I received a free copy of this book from the publisher in exchange for my honest review. All thoughts and opinions are my own. Jessabelle Keller is getting married to Prince Malachi of Mevendia. The problem? She's never met him. Her father once saved Malachi's father and for that, the future king had said that one of his sons would marry her one day. Jessabelle would much rather hide away than be thrust into the spotlight. Prince Malachi is also not that thrilled about getting married to a stranger, but he vows to be faithful to her no matter what. When gossip and other trials come along, can they forge a bond and make Jessabelle realize she isn't just a hand-me-down princess? "Hand-Me-Down Princess" by Carol Moncado is the first in the Brides of Belles Montagnes Series, but it also includes characters from her Montevaro Monarchy series, so it would be best to read that series first. 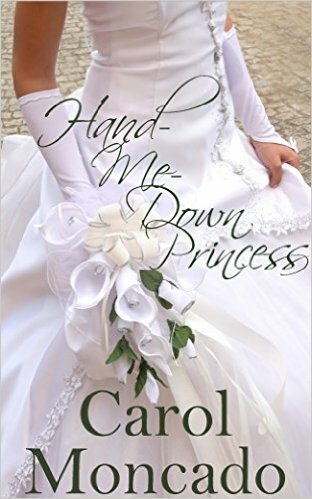 There is enough told in "Hand-Me-Down Princess" for you to basically know what had happened, but it would be clearer to read them in order. I could relate to Jessabelle's desire to stay out of the spotlight. She was able to stretch her comfort zone through the story and had a less difficult time with it all by the end of the book. I really liked Malachi and his integrity. He was very caring and understanding toward Jessabelle. The characters often prayed or sought what God would have them do. This is a romance story, but it also has an element of mystery running through it as well. I had a hard time putting the book down and stayed up later than I should several times to read. I wanted to tell off some of the characters and keep them from hurting Jessabelle and Malachi with their deceit. I received a free copy of this book in exchange for my honest review. I did not receive any other compensation and a positive review was not required. All thoughts and opinions are my own. 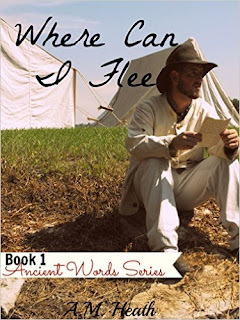 "Where Can I Flee" by A.M. Heath is set at the beginning of the Civil War in Tennessee. Frank and Claire Harper are twins who've never been apart from each other. The life that they know is soon thrown into chaos when the Civil War breaks out. 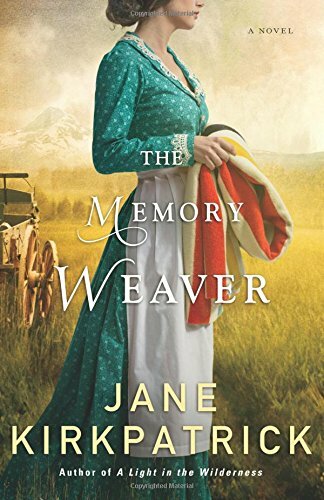 Frank gladly enlists in the Confederate Army while Claire is left behind to wonder if what she's known her whole life is what is right. The story is partially told through the letters that Frank and Claire send to each other. Though it was different than other books I've read, it was an interesting and fitting way to tell this story. Claire's letters are often filled with her concern for her brother's spiritual life and therefore, the gospel is woven throughout the book heavily. "Where Can I Flee" is the first book in the Ancient Words Series and the story carries over into the next book. This is not really a romance story and you do not see the "love interest" until more than half way through the book and there is not a "Happily Ever After" by the end of the book. Being someone who does Civil War Reenactments and a "Northerner", it was interesting to see the Civil War from the Southern point of view. I liked the characters and felt for Claire with the heartache and confusion that she faced. I found the book to be well written and researched with a few exceptions. There is mention of Claire using a leather belt to hold up Frank's pants when she helped her father. Belts used to hold pants up were not used until the 1920's. They would have used suspenders during the Civil War. Also, one of the female characters had her hair "twisted high in its bun". The women wore their hair parted down the middle and anchored at the nape of their neck, not in a high bun. "Jingle Bells" was published in 1857 and was written for Thanksgiving. I am not sure if they would have been singing it as a Christmas song by 1861 or not. The final historical issue that jumped out at me was the fact that the characters "laughed out loud". This does not sound like something an 1860's person would say or think, but is a modern term. If I wasn't into Civil War reenacting, I would probably not have noticed these issues except for the "laugh out loud" one, though. I liked the part at the end of the book where the author gives some of the information she found while researching for the book. I look forward to reading the other books in the series and finding out what happens with the people I met in "Where Can I Flee". I received a free copy of this book in exchange for my honest review. I did not receive any other compensation and all thoughts and opinions are my own. 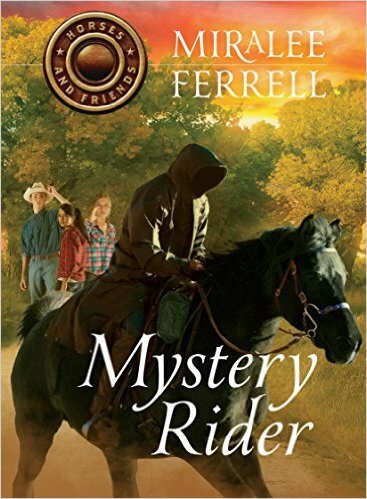 "Mystery Rider" by Miralee Ferrell is the third book in the Horse and Friends series and starts up immediately after where the second book, "Silver Spurs", ends. Kate Ferris still is a little leary of whether Melissa Tolbert is hanging out with them because she's bored, planning to play a trick on them, or if she's truly their friend now. On top of her concerns about Melissa, a mysterious rider on a black horse appears in front of their house. Can she and her friends solve the mystery? Like the other two books in the series, "Mystery Rider" was a fun and enjoyable book to read. It is geared for kids about 8-12 years old, but adults would like it also. I like how Miralee works in life lessons through the things that Kate and her friends learn (not getting revenge, thinking of how another person would feel, etc.). The gospel message is also presented in the book in a smooth and seamless way. It would be best to read this book only after having first read the other two books. They flow from one book to the next and you would miss out on learning the characters' stories if you don't. I received a free copy of this book through netgalley in exchange for my honest review. All thoughts and opinions are my own and I did not receive any other compensation. Our school elected to get a waiver from the state to start before Labor Day. So our first day of school was August 31. Sarah started middle school this year, which added new routines and unknowns. As is our custom, we brought the kids to school for their first day of school. I also picked Sarah up afterwards, too, because she didn't know where the buses dropped off and picked up as she hadn't ridden the bus to middle school yet. We dropped the elementary kids off as we came to their classrooms. Andy's teacher (with the glasses) is on maternity leave until November, but she was at the "back to school night" so I snapped a picture with Andy with her and the long term sub that night instead of the first day of school. Willie the Walrus really wishes he could go on adventures like his father does, but all he gets to do is hang out around home and play. While watching TV, he gets an invitation from Sheriff Octopus to help the town of Big West be free of the bully Old Walter, the one-eyed whale. Can he save the town? 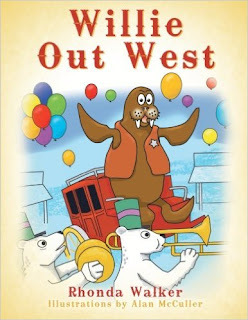 I read "Willie Out West" by Rhonda Walker to my kids (ages 6, 7, 9, and 11) and they thought it was a cute story. There isn't a reason given as to why Old Walter is a bad guy or why the town is scared of him. Maybe so the readers/listeners can fill in that detail with something that they could relate to. The pictures were colorful but were very tiny (at least on the Kindle we were reading it on) so it was hard to see what was going on, especially with 5 people reading it at once. Willie had to think how to get Old Walter to leave the town alone and the townsfolk all worked together to achieve their goal. 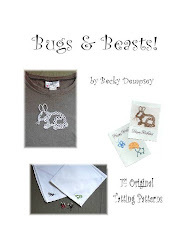 I received a digital copy of this book in exchange for my honest review from booklookbloggers. I did not receive any other compensation and all thoughts and opinions are my own. What starts out as one of the best days for Rebekah Sawyer soon turns into one of the worst. 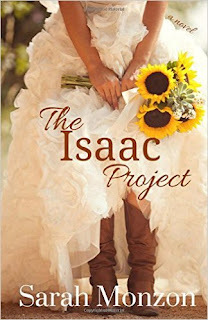 When she discovers that her boyfriend isn't the man she thought him to be and the man who raised her is dying, she finds comfort in the Biblical story of Isaac and Rebekah. She thinks that maybe she can fulfill he Poppy's wish of seeing her happily married by emulated Abraham and find someone who can find a husband for her. Luke Masterson thinks that his cousin's girlfriend is a little crazy to be looking for a husband for her best friend. But when he feels God leading him to accept this crazy proposition, will love blossom in their arranged marriage? "The Isaac Project" was unlike any book I've read before. It had a new and fresh story line. I found it entertaining and fun to read. The book is told in first person point of view from Becky and Luke's perspectives. It felt as if they were telling you the story. 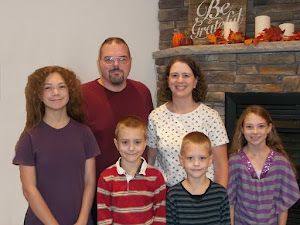 Luke and Becky had realistic personalities and traits. I found the story to be well written. I did find a few mistakes (Ann instead of Anne in one spot, Ms. Stabler in one spot and Mrs. Stabler in another) and why would Becky get worried that it might be her Poppy's doctor calling on the "Hello, this is Dr.", when his doctor is a male and the vet who was calling was a female? Along with the romance, the story also has a bit of a mystery going on as well. I received a digital copy of this book from the author in order for me to review. All thoughts and opinions are my own and I did not receive any compensation for my review.